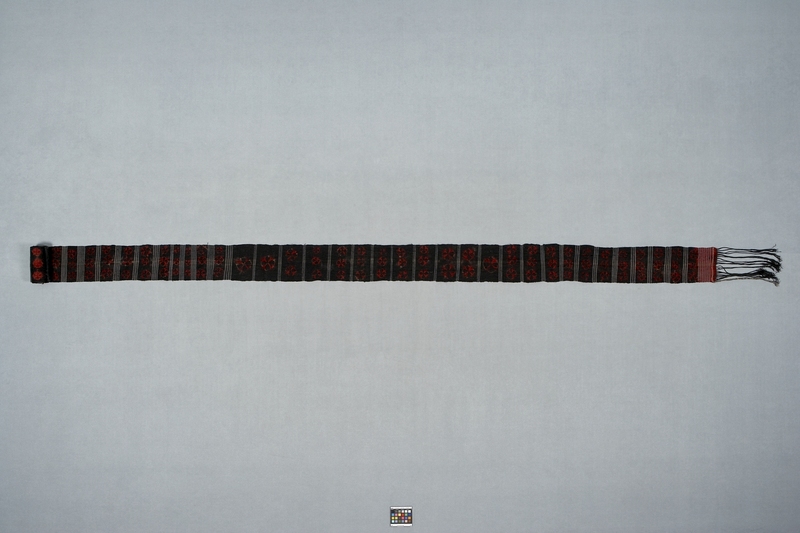 Item number 1376/2 from the MOA: University of British Columbia. 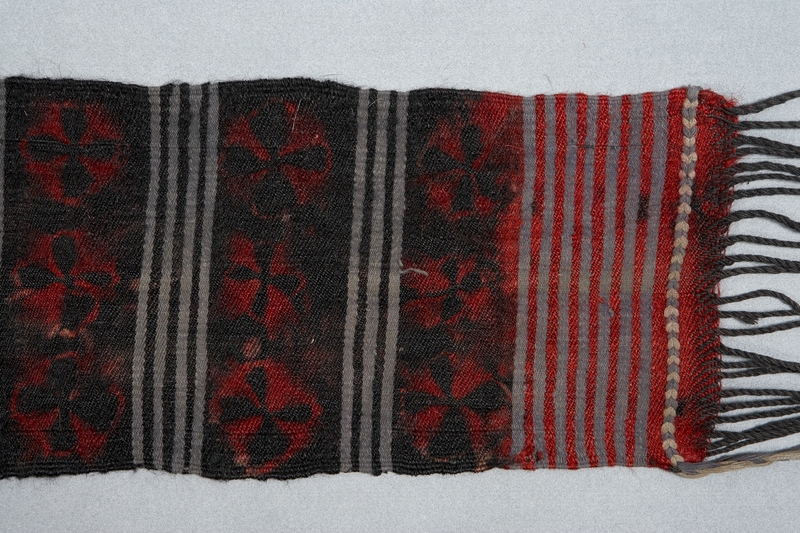 Very long, narrow, black and grey textile, decorated with many horizontal rows of resist-dyed or painted red disks that are overprinted or stamped with black cross-shaped motifs, like petals of a flower. Sections woven with wool or goat hair yarns alternate with sections woven with cotton yarns. Long black fringes at each end are made by tightly twisting the warp yarns. Possibly used as a girth for binding loads onto a pack animal, or as a tent band. woven, resist dyed ?, painted ?, block printed ? and stamped ? woven resist dyed ? painted ? block printed ? stamped ?